The Tin Shop is your one stop shop for custom metal work. We manufacture and sell high quality weathervanes, cupolas, and finials for the home and garden. We carry copper weathervanes, steel weathervanes, and aluminum weathervanes. All of our weathervanes are hand crafted right here in Massachusetts. We can also complete custom metal projects based on your request. 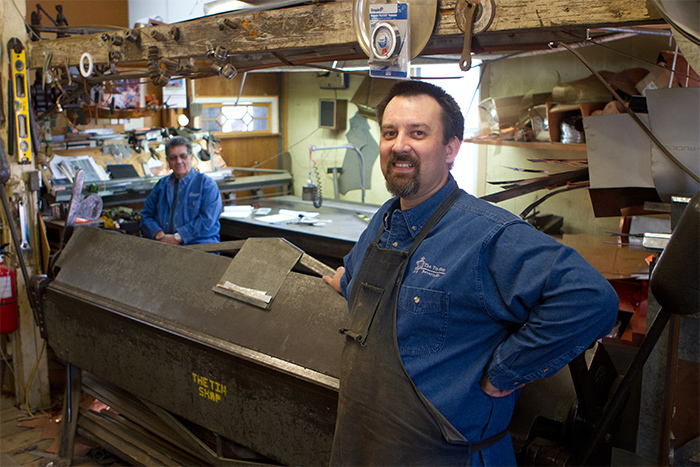 The Tin Shop is a family owned custom metal shop that has created high quality handcrafted copper and metal work since 1955 and we are proud of the relationships we have with our customers and contractors and strive to deliver personal one-on-one service. How can we help you? See how we helped in making this house and episode a great success. Please don’t hesitate to call or fill out the form below so we can discuss your custom copper and custom metal purchase. We want to be sure you get exactly what you need, and we will be able to answer any questions you may have. Connect Today. Costs vary depending on the project, size, and destination. Contact us for a free quote. Items that exceed the weight and/or size limit are shipped via FedEx Freight or other freight company. The Freight Carrier will call to set up a drop off time, usually 24 hours before the scheduled delivery. The Tin Shop is your one stop shop for custom metal work. We manufacture and sell high quality weathervanes and finials for the home and garden.